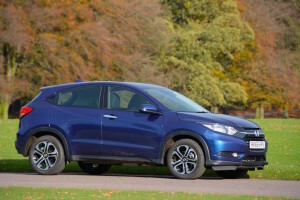 The Honda HR-V enters the increasingly crowded ‘sub-compact’ crossover sector – does it have the differentiation needed to stand out from the crowd? It appears that the entire world wants a ‘sub-compact’ crossover. Honda has been missing out on potential sales by not having a car in this class, but all that has now changed with the arrival of the HR-V. The car tested had the 1.6 i-DTEC engine, which is very efficient in the Civic – but will it be as efficient in the HR-V? 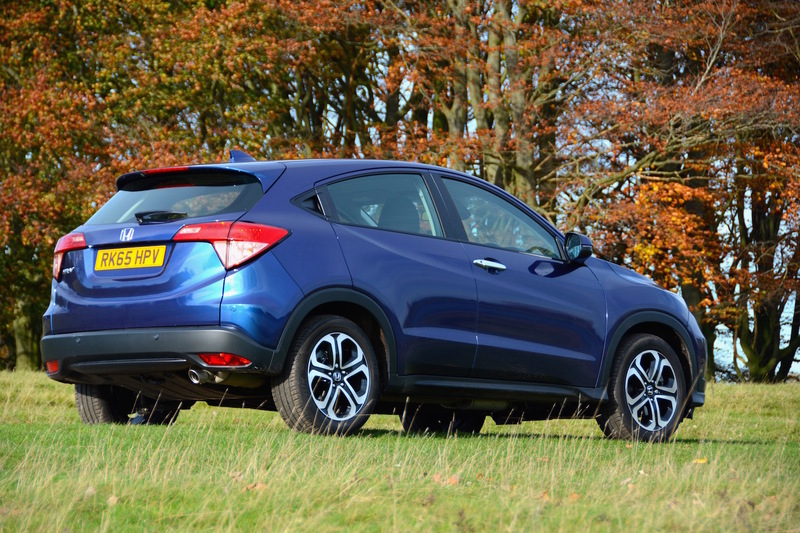 Despite trying to be a SUV, the HR-V is just front-wheel drive. The design has Honda styling cues, but they’re found in a small crossover body. 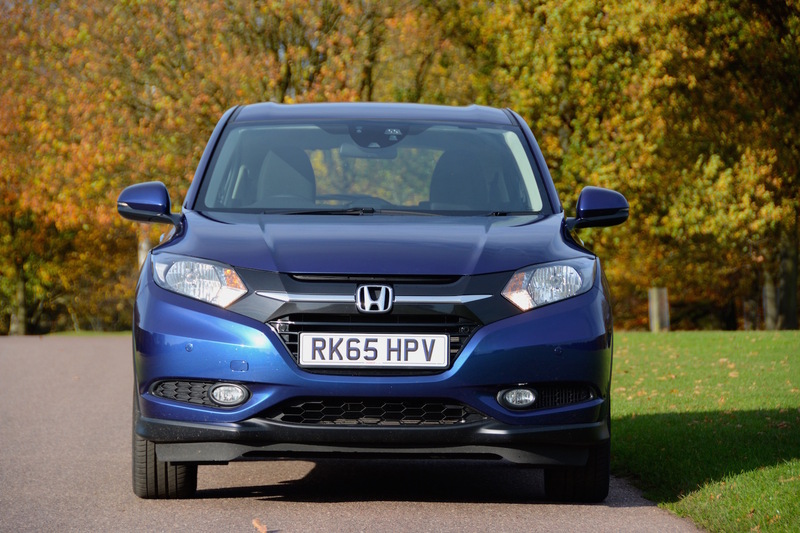 This means the HR-V is higher off the ground than a regular family hatchback, with the raised driving position that so many people seem to like. The styling of the HR-V is generally safe and predictable overall, but we’re not sure about the rear tail lights, which give the appearance of drooping down at the outer edges, which never seems to work happily as a design detail. 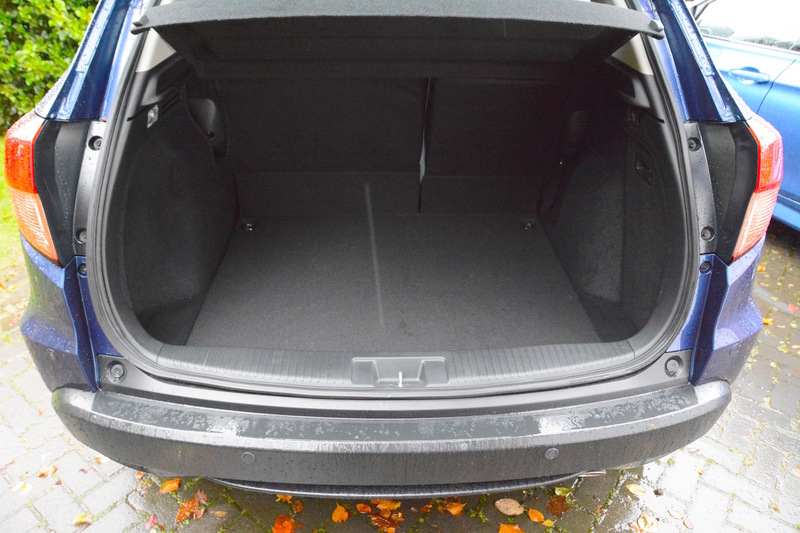 Like the exterior, the interior is what you would expect from Honda. Although the car has a relatively small footprint, there’s a decent amount of space inside and in the boot, and it comes with Honda’s multi-adjustable ‘Magic Seats’. A highlight for people who like drinking coffee is that there are two huge drinks holders between the two front seats. The 1.6 litre i-DTEC is a good engine. In this car it’s mated to a 6-speed manual transmission. A small crossover is a great concept, which should promise a light, agile and fun driving experience. However the HR-V doesn’t quite deliver this. The driving experience is competent in terms of steering and handling, but one problem is the secondary ride, which feels quite brittle over rough surfaces, potholes and speed bumps – in other words exactly the sort of environment where it should excel. Regular readers of our reviews will be aware that we’re not great fans of touchscreens in cars. The HR-V takes this one step further. When you start the car, you have to press an ‘OK’ button on the touchscreen (if you don’t do this then annoyingly the screen goes off). Right underneath this button is another button inviting you to change the language of the infomedia system. Driving over uneven roads it’s very easy to press the button to change the language by mistake. Why would you have a button to change the language every time you start the car? Surely most cars are driven in the same country most of their lives? It’s one of the strange details that lets the car down. There’s a smaller touchscreen below the main touchscreen for temperature controls, which seemed to work reasonably well. The driving position wasn’t perfect for us, and there’s an automatic handbrake – you have to have your foot on the brake pedal in order to operate the handbrake, and it’s not particularly obvious whether you’re supposed to pull it up/push it down to put it on/off. In summary, there are probably many drivers who will be satisfied with how the HR-V drives, but it’s not a car for driving enthusiasts. 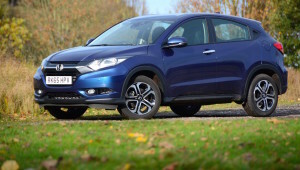 The official NEDC economy figure for the Honda HR-V 1.6 i-DTEC Manual is 70.6mpg, equating to 104g/km CO2 emissions (with 16-inch wheels) and 68.9mpg and 108g/km CO2 (with 17-inch wheels as fitted to our EX-spec test car). After a week of mixed driving the HR-V returned around 50mpg on long runs and around 40mpg in town, with an overall average of 46.2mpg. As expected, this is well short of the official figure. It’s also interesting to compare this with the Honda Civic with the same 1.6-litre diesel engine. This has an official combined miles per gallon figure of 78.5mpg; our overall fuel economy over a week with the car on test averaged 61.6mpg – much better than the 46.2mpg of the HR-V. This proves that aerodynamics are key in fuel efficiency, especially real-life fuel economy. The HR-V may sit in the subcompact crossover sector that is all the rage at the moment, but if you want to save on your fuel bills, then buy a car that isn’t as high and so has better aerodynamics. 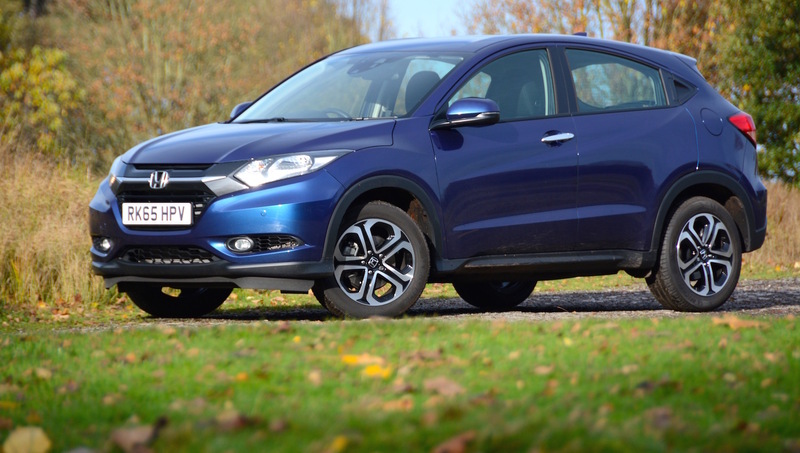 The HR-V promises a good range of over 500 miles on a tank – despite all the current media rage about diesel cars, this is something that electric cars can’t compete with at the moment. 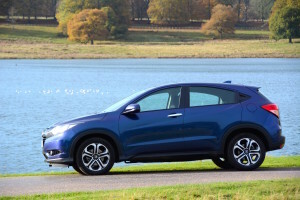 The Honda HR-V is available from £17,995 for the S grade, with the mid-grade SE model priced from £19,745, and the upper-grade EX available from £23,195 – or £24,945 in the case of our top of the range 1.6 i-DTEC EX model. The top-grade EX model has 17-inch alloy wheels, a full leather interior, smart entry and start, a rear-view camera and a tilt-and-slide opening panoramic glass sunroof. 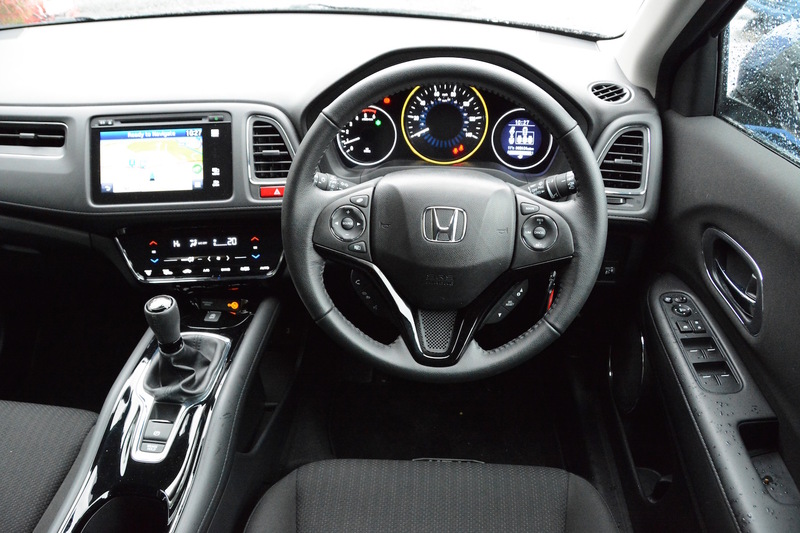 The interior is practical, featuring Honda’s Magic Seats system, allowing for various configurations. The HR-V is available with a choice of the 120PS 1.6 litre i-DTEC diesel or a 130PS 1.5 litre i-VTEC petrol engine. The diesel comes with a six-speed manual; the petrol has a six-speed manual or a CVT. Honda has an excellent reputation for reliability. The Honda HR-V has been developed to satisfy demand for cars in this class. 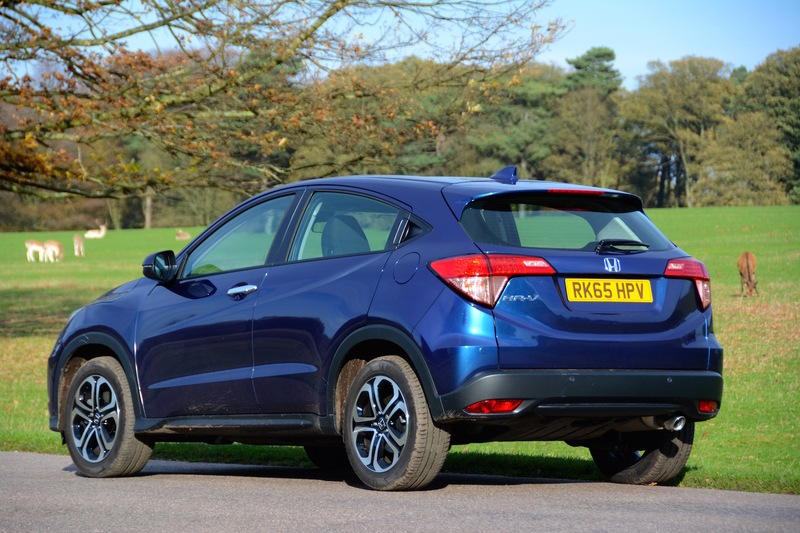 It also feels that it has been developed to meet the needs of customers who want a predictable Honda. However the original HR-V initially appeared in 1999. HR-V apparently stood for ‘Hi-rider Revolutionary Vehicle’, and was marketed as ‘the Joy Machine’. To be honest, at the time it was revolutionary (even if the joy machine label from the marketing department was pushing things a little too far); the concept was unique, and it looked refreshing. That car went out of production in 2006, and it took Honda until 2015 to give us this latest HR-V – a gap of nine years. 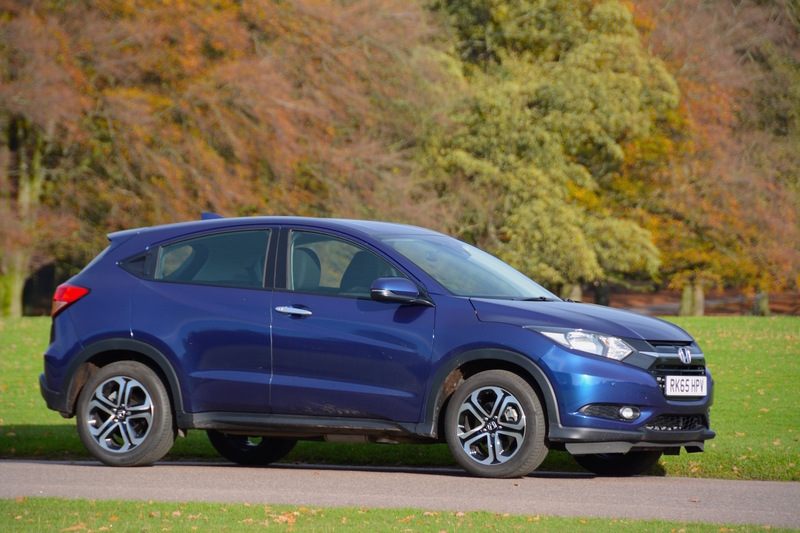 We’re left with the feeling that although the latest HR-V is as technically competent overall as you’d expect a Honda to be, it lacks the creativity and flair of the original HR-V – which seems a shame, and a missed opportunity. 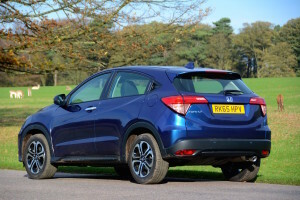 Honda is doing well with increasing global sales, even if this isn’t the case in the UK, so we’re assuming that Honda has done its market research and that it believes it will sell more cars by giving us a HR-V that will neither particularly upset or excite people, and based on that criteria, it has succeeded, and as a result it gains a Green Car Guide rating of 7 out of 10. 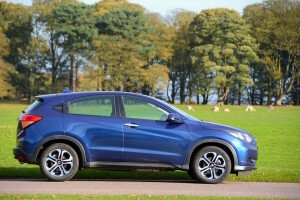 The trouble is, whilst the HR-V is a competent all-round car, there’s lots of choice in this segment, with rivals such as the Mazda CX-3 being a better-looking car and a better car to drive in many people’s eyes.